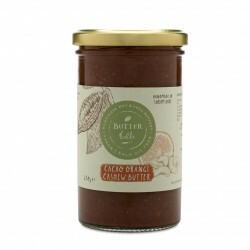 Unique handcrafted nut butters made with all natural ingredients and free from refined sugar and palm oil. Founded by Food Technologist Zoe Harrison whilst she was studying at Harper Adams University for her degree in Food, Nutrition and Wellbeing. 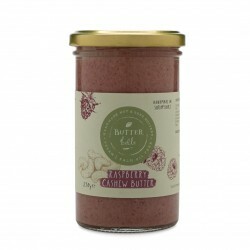 She lives and breathes nuts and that shines through in her yummy butters, which are all handcrafted by her in small batches with lots of love and care. 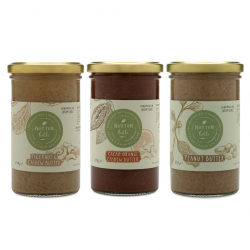 Zoe loves experimenting and creating something a bit different so her range of includes some unusual flavours as such as tiger nut and cashew butter, and raspberry cashew butter, and she also has a range of savoury seed butters. Butterbelle is a 100% Vegan company and their products are made with the highest quality nuts and flavoured with only natural, nutritious ingredients.